What Plane Will Airbus Build Next? Airbus and Boeing have been engaged in fierce competition over many different aircraft markets. From narrowbodies to very large aircraft, both manufacturers have shifted their strategies to what they think would be a successful product. With Boeing’s impending 777X entry into service and the launch of the 797, the question remains: what’s next for Airbus? Boeing has their 737, Airbus loves their A320. These single-aisle jets can be utilized for a whole host of flights. The A320 can span transcontinental flights, like from New York to Los Angeles or short-haul flights from London to Paris. A comfortable ride, the derivatives give a whole range of opportunities for airlines to expand. From the small 120-132 passenger A318 to the larger 200-passenger A321, one family can make up the entire fleet of some airlines. By operating one family, airlines can save a lot of money. Many low-cost carriers, like Wizz Air or Easyjet, will choose one aircraft family for their fleet. With common type ratings across the entire family, Wizz Air doesn’t have to worry about retraining pilots. In addition, significant cost savings can come in maintenance since staff only need to be aware of one family of aircraft. It also helps with substitutions since cabin crew can easily transfer from an A319 to an A320, as long as minimum staffing rules are followed. Airbus, however, has a lot to learn from Boeing. The future seeks to make flying safer through a vast number of technological improvements. While Boeing attempted to do that, it seems, that from preliminary reports this turned out to be a disaster. Airbus will undoubtedly make improvements to the A320 and sell it as a brand new jet. With a focus on fuel efficiency and improved technology, a new aircraft line could propel Airbus ahead of the game as Boeing struggles to keep airlines confident in their 737 MAX. The middle of the market is a coveted niche in the aircraft realm. Airbus is seeking to capture this market on both ends. Seating up to 244 in a single-class, high-density configuration, the A321LR is perfect for catching the thinner, long-haul routes currently operated by 757s. At the other end of the scale, Airbus is looking to take their A330neo to capture the higher end of the spectrum. Old and weary 767s and, in the future, A330s will need to be replaced with an aircraft that can seat 230-250 passengers in a 2-class (or 3-class) configuration. The A330-800 could fit that bill. Considering that Airbus is not developing a whole new aircraft like the 797, they could beat Boeing in the race to introduce an aircraft to fill the middle of the market. We’ll have to see what Airbus comes up with, but this could be a huge market for the manufacturer. Airbus launched the A350 as a direct competitor to Boeing’s 787. Designed with the latest technology and comfort on a widebody, long-haul airliner, this aircraft is an airline favorite. Singapore Airlines, Delta Airlines, Qatar Airways, and many other airlines already operate the A350 and a whole host more have A350s on order. Airbus could seriously make a splash with an A350neo. If timed right, this aircraft could kick in for the replacement cycles of some 777 models, A330s, or even A380s! Twin-engine aircraft are the new standard in long-haul flying, and the A350 is almost unbeatable. Singapore Airlines operates a special version, the A350-900ULR, on the world’s longest flight from Singapore to Newark. By tweaking design features, such as offering increased takeoff weight while lowering fuel burn without compromising range, a revamped A350neo could be the perfect fit for airlines like Qantas, who are looking to introduce economically viable ultra long-haul flights that can operate with significant capacity. Airbus recently took over the A220 from Bombardier. 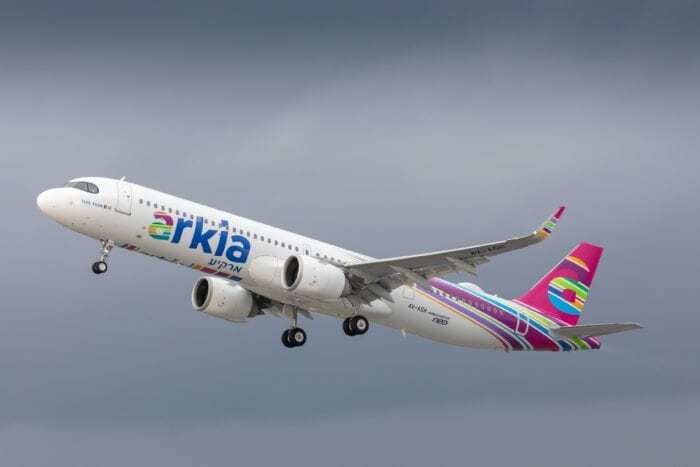 This gave them access to a brand new market of narrowbody planes that are capable of conquering routes both long and short. Airbus attempted to reach into this market with the A318, however, the A318 came too soon when airlines weren’t looking for a jet that could seat 110-120 passengers with the same versatility as the A220. The A220 could last for a long time. Airlines have been versatile in how they use this aircraft. 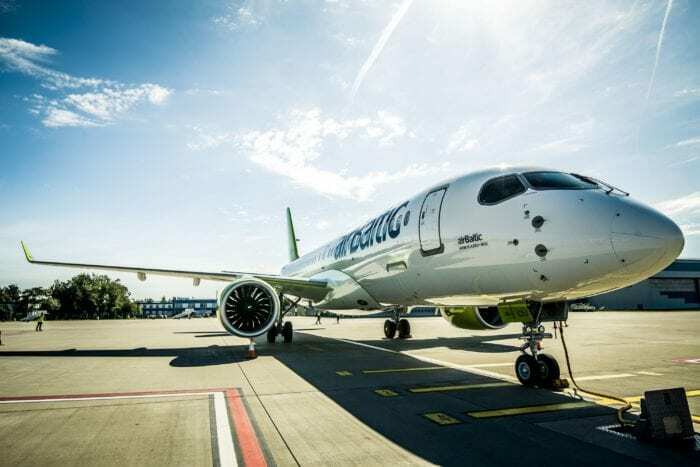 Air Baltic is looking to use these aircraft as their primary hub-and-spoke aircraft, while Delta Airlines is using these aircraft at first to replace regional jets on high demand and high competition routes such as between New York and Houston. This kind of versatility is definitely prized by airlines. 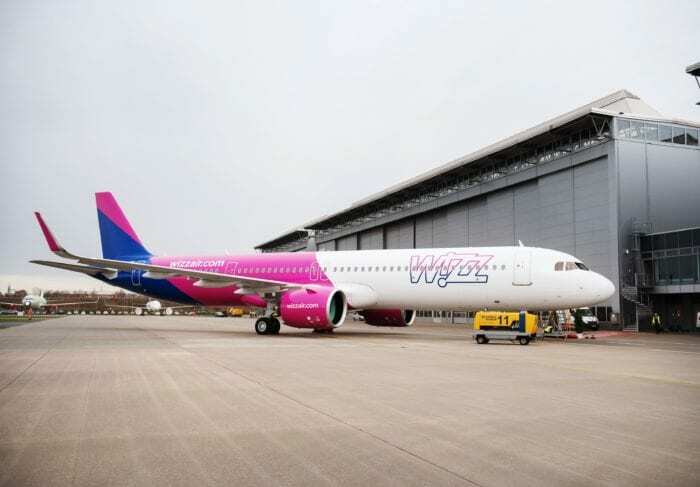 Startup “Moxy” Airlines singled out the A220 as the best aircraft for their operations. Founder David Neeleman touted the aircraft’s ability to do transcontinental and transatlantic flights as the reason Moxy selected the aircraft. Overall, Airbus is in a solid position with their aircraft line. They’ve solidified some brand new aircraft that will keep them flying well into the future. Given the introductory timeline of these aircraft, it will be some time before Airbus really needs to design a brand new aircraft. Most likely, Airbus will seek to launch a new narrowbody plane before launching a new widebody. After the A380, Airbus has learned a lot of lessons in aircraft development. Now, we wait and see for the next new plane from Airbus. What do you think will come next? Let us know in the comments below! As popular and versatile as the A320 family is, its basic design is now almost 40 years old. The A220 family is a brand new development, incorporating a lot of lightweight composite materials and a more optimized aeronautical design, but it has the disadvantage of having a relatively narrow fuselage, which can’t fit containerized freight (the 737 has the same problem; the A320 is slightly wider, and can accommodate LD3 containers). There’s talk that Airbus may use A220 technology to do a fundamental re-design of the A320 and A321…perhaps not in the short term (the NEOs are currently popular enough), but as a logical next step in about 5 years time, to keep ahead of the market. Along similar lines, I’ve read analysts who think that Boeing would be wiser to develop a clean-sheet 737 replacement rather than develop their new mid-market airplane; the 737 is, after all, another 15 years older than the A320, and the recent problems with the 737 MAX have highlighted the airframe’s design shortcomings. You need to start considering how the Boeing737-8 Max inherit design flaw with needing MCAS (Maneuvering Characteristics Augmentation System) to level the aircraft in flight to counter the positioning of the engines on the Max will affect current and future orders by global airlines? Will these events become part of the “flying public memory” and have them start choosing not to book flights (airlines) with Max’s even after the “fixes” are put into place? Could this 737 MCAS design flaw cause the acceleration of Boeing launching their single aisle aircraft replacement from the late 2020’s to the early 2020’s which could override the need to launch Boeing NMA and have effect on Airbus moving up their single aisle replacement program? i recon the next airplane should be something to replace the 757s just a longer airplane than the a321 with an extended range. and then a plane that can compete with the 777x maybe a two story two engine aircraft with more powerful versions of the ge9x and big wings something that could go from auckland to london. I think Airbus will focus on 3 initiatives: 1. A brand new A320 family replacement with composite materials and more efficient engines learned from the A350 manufacturing experience, so that airlines will have a lower operating cost and slightly improved MTOW & range. Airbus has to invest for the future or risk being left behind: good to be a leader vs a laggard. 2. An A350neo which should be an easy upgrade and win extra revenue for a modest investment and time horizon, a great ROI. Everybody talks about Qantas flying Sydney to London non-stop, but everybody forgets that perhaps BA, Lufthansa, Air France/KLM might want to operate from their hubs directly to Sydney & Melbourne as well, so an A350neo would suit and will be faster than B777x to market. 3. A new aircraft to capture the 220-250 passenger capacity market, perhaps this is the new A325 family because there is definitely demand for this type of aircraft. You have to admit, Boeing built a great aircraft in the B757, a very versatile aircraft that has been flying comfortably & safely for 35~ years. Will Cutts….I am not sure you know what you are talking about. 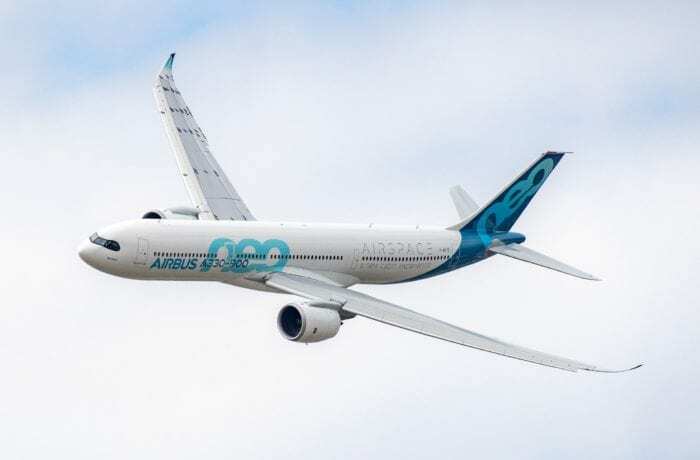 Why would Airbus with over 6500 orders for A320 series NEO models suddenly go to an all new frame? Their CURRENT offering has gone stratospheric. They will make money without spending on some new programme. An A350neo will NOT beat the 777x to market. There are currently no upgrades to the engines till Rolls brings out the ultrafan around 2025. The 777x will be airborne in a few weeks. Airbus-Bombardier must immediately start working on stretching and developing the A220-500, as the A320neo production lines are maxed out and have a healthy backlog. While the A220 does not carry containerized cargo, its phenomenal fuel efficiency could be a major incentive for airlines as the price of fuel goes up. Since they are killing the A380, they should build a twinjet larger, and most importantly wider than the A350. 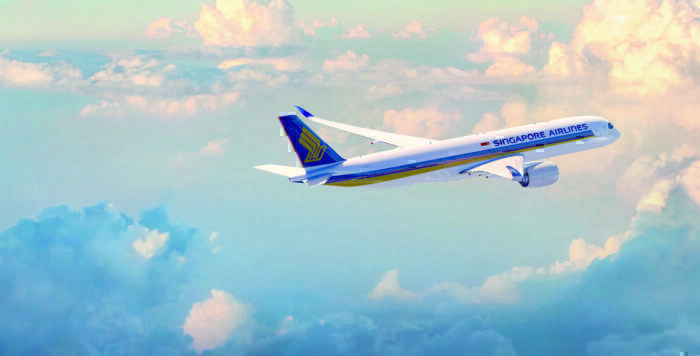 Their biggest disadvantage compared to the 777 is the lack of cargo capacity. I would suggest an A322. This would be 3 or 4 m longer than the 321. You could have 4 or 5 more rows in short haul, or stick to 230 (ish) seats with decent seat pitch for long haul. Maybe also composite wings (a much bigger deal) for more range at less weight. If the composite wing was a success, you could back fit it to the A321 and A320.